Kids Shopping Day (KSD) of Lawrence County is a faith based, nonprofit organization committed to helping Lawrence County children needing assistance with school supplies and back-to-school clothing. Year after year our community has come together in an effort to help our local kids feel confident for the start of each school year. The first Saturday in August, each child is supplied with two outfits of clothing, shoes, socks, underwear, hygiene items, school supplies and a backpack. For the last three years, local beauticians have donated their time and talents to give the children haircuts, as well. The organization began in 2006, helping 166 children. Since then, the need for the program has grown, helping 543 Lawrence County children in 2018, with over 125 volunteers assisting. 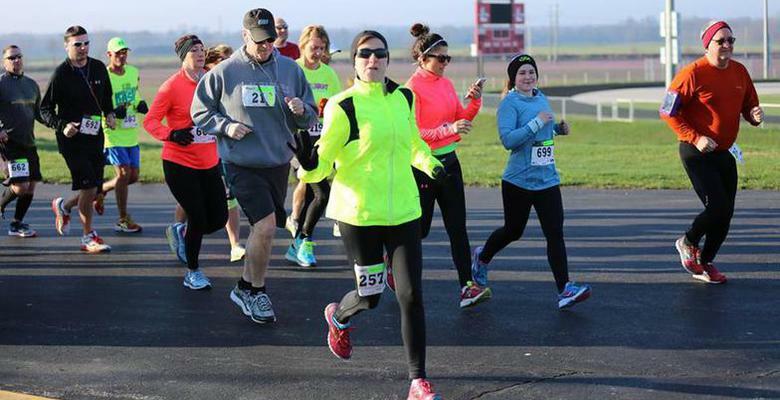 On March 30, 2019 KSD of Lawrence County will be hosting its 10th annual Southern Illinois Spring Classic 5K run/walk. The 2019 race will be the 8th year for the Half-Marathon and the 7th year for the Kids’ Half-Marathon. In 2018 the event played host to nearly 115 runners, over 100 volunteers, countless spectators, and raised $17,000 for the youth of Lawrence County.